If you devote yourself to taking wildlife photographs in the Pacific Northwest you accept the fact that many, if not most, of your photos are going to be taken in cloudy, overcast conditions. It’s just a fact of life that you soon adjust to or take up another hobby. Modern cameras and software like Photoshop can certainly help you improve your photos. When you shoot in RAW mode, you can pull colors out of the shadows that you can’t even see with the human eye. That said, I don’t think you can ever match the colors you get with real sunlight as I was reminded by several of the shots I took at Nisqually Friday. 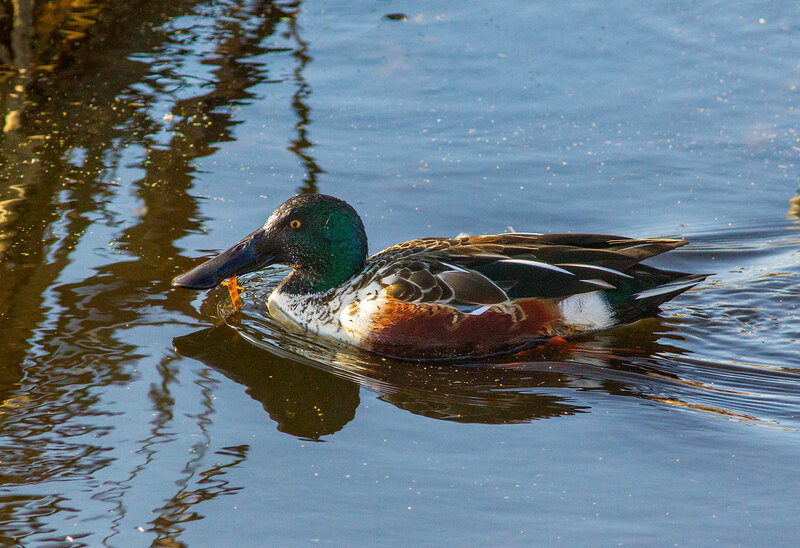 For instance, I was actually further away from this Northern Shoveler than the one I posted a couple of days ago at Lake Waughop, but the colors in this shot are far more appealing. 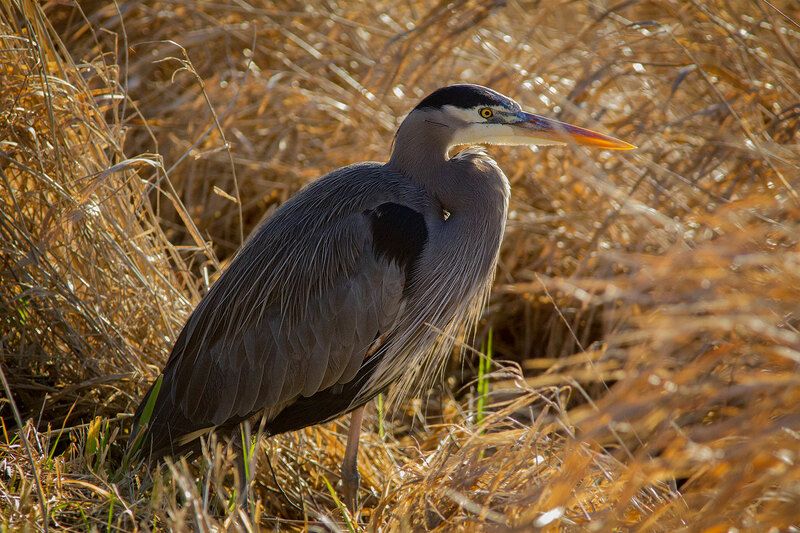 This is a pretty uninspired pose, but very few shots I’ve ever taken of Great Blue Heron sparkle like this shot does. 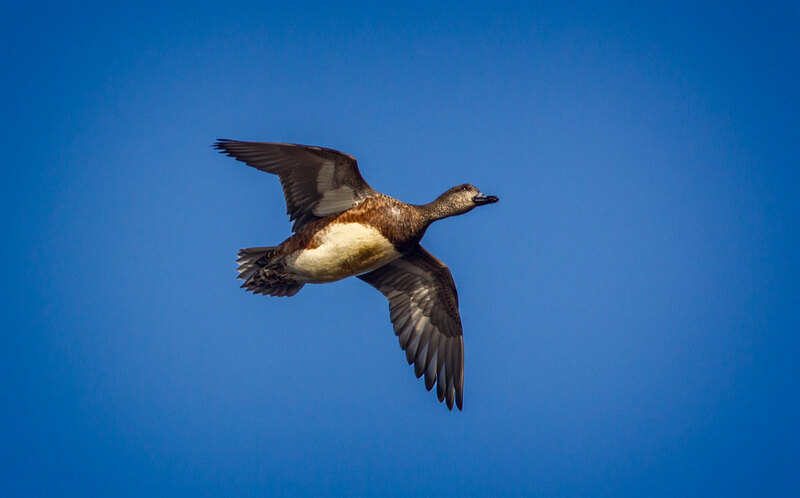 Even this Widgeon flying overhead has a glow that would be tough to capture under any other conditions. 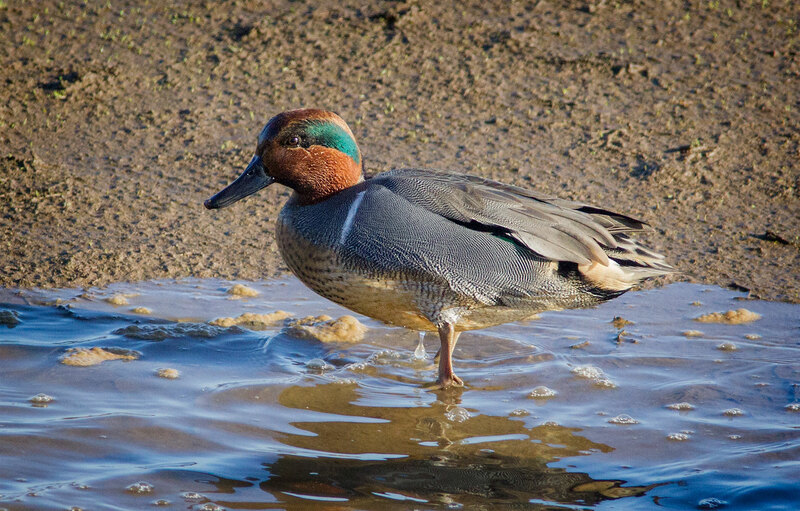 is even the same species that I showed in an earlier shot from Theler Wetlands. In all fairness, I’ll have to admit that shooting in full sunshine in the middle of summer often presents its own problems. Harsh sunlight and shadows can actually make shots unusable. So perhaps it was the glow from low, winter light that I like so much in these shots.